Early in 2014 I filmed a session with Michael Taylor a.k.a. Hiss Golden Messenger, because I had become addicted to his records. Learning more about his music, I found out he was friends with fellow Durham, North Carolina inhabitant Phil Cook. 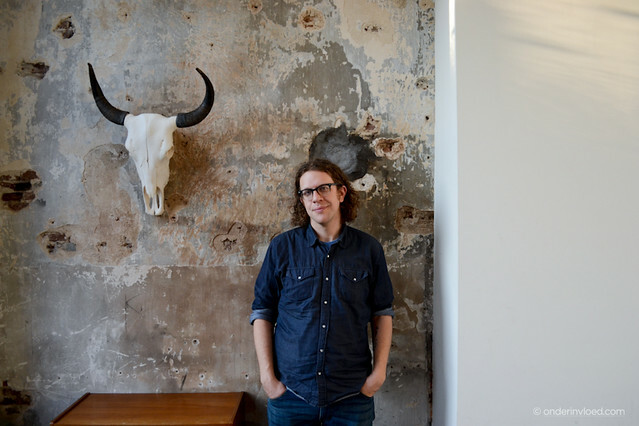 Cook and his brother Brad formed Megafaun, and Phil was now working on a new solo record, after releasing an album as Phil Cook & His Feat in 2011. This month Phil Cook’s record Southland Mission was released and I kid you not, it blew me away. But, that was no surprise after filming this session in February of this year, a couple of hours before Cook played at EKKO in Utrecht with Hiss Golden Messenger. Read an interview with Phil Cook below the videos. This session was recorded backstage at music venue EKKO in Utrecht. If you’ve ever talked to Phil Cook or seen him perform, you’ll know what I mean when I write that he leaves you somewhat happier than you were before. The love for music and his friends or band mates just radiates from his face. Luckily all of that noticeably went into the record as well. Cook’s eyes lit up when I asked him about Michael Taylor, or Washington Phillips. This session was easy to film, at the dressing room of EKKO, because all of these videos were done in one take. Phil Cook is currently on tour supporting The Tallest Man On Earth, so check out his website for the dates and go see him play.